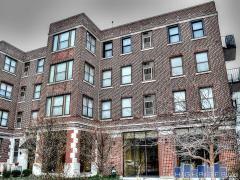 Meridian Lofts of St. Louis, MO | 1136 Washington Ave. The Meridian is a luxury loft-style condominium building in St. Louis, MO. The modern lofts feature 14-foot ceilings, exposed red brick and ductwork as well as gourmet kitchens with granite counters and custom cabinetry. Have any comments or questions about Meridian Lofts? Ask your question and/or share your thoughts about this Building.